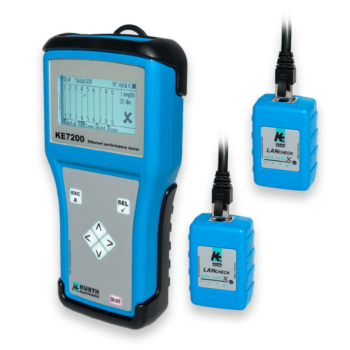 Network tester with memory function is the ideal helper for commissioning tests, troubleshooting and documentation in data and telecommunications networks - with an outstanding price / performance ratio. Versatile functions, large graphic display and intuitive operation allow users to work efficiently. Long battery life and the robust housing are the perfect conditions for daily use.